His presentation was followed by Will Travis, who brought climate change effects to the Bay Area level, using grim humor about our dire situation. 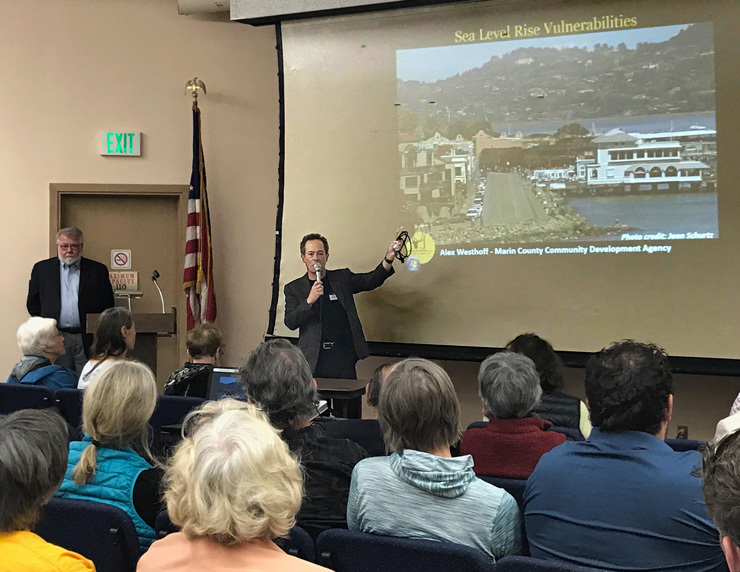 One dock resident asked, during the Q&A, if the houseboats were sitting pretty, as it were, when it comes to sea level rise. The answer was concrete. Our homes may be fine, Travis said, but it won’t matter if there is no road or access. What can you do? Expect to hear more from our leaders about how to plan for a future in which everything east of Bridgeway is flooded. For everyone in the FHA community, start collecting data on the height of king and high tides (take photos, keep a log). We’ll need to persuade our marina owners to switch to floating docks, as can be seen over at the Charles van Damme dock. We may yet be able to tear a hole in the hot blanket covering our planet. 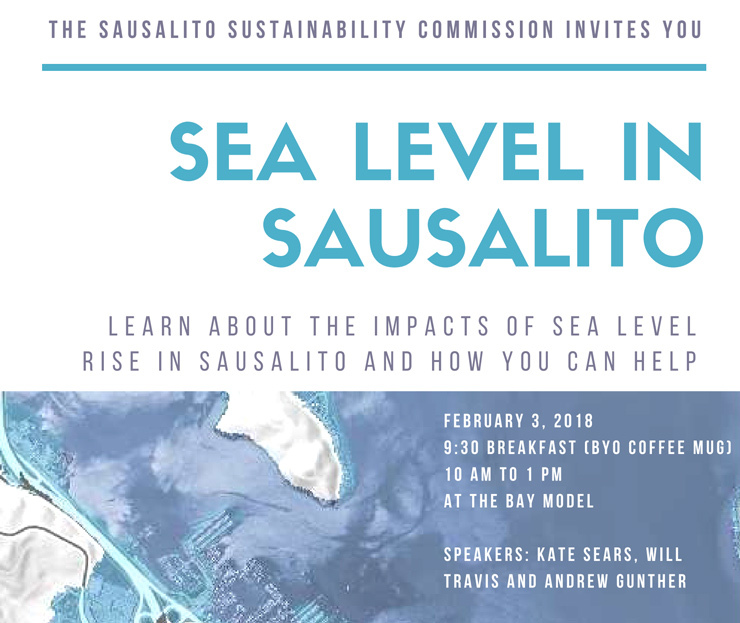 Click here for the original Feb 9 2018 Sausalito Currents post: (link) Over 100 Attend Sea Level in Sausalito Event where you’ll find individual links to each of the 3 video-recorded portions of the program. We’ve also dropped the following videos into this post—directly below each link—simply click on the white arrow to get things rolling.